An item reported that the Dutch steel steam drifter Helga (IJM 46) was sold by the Visscherij Maatschappij Helgoland, Ijmuiden, Netherlands towards Lowestoft, United Kingdom. Gross register tonnage 114,98 tons. Built by the fa. Gebr. 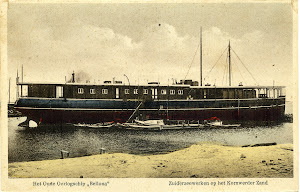 Boot, Leiderdorp in 1913.